Traditionally, finish machining of hardened materials was performed by the use of EDM technology; and although this process was very effective, shops were continuously looking for faster and more efficient ways to produce their products. Eventually, as CAD/CAM software technology evolved, and new and more productive toolpath generation became available, the use of these advanced CAM systems also began to grow. 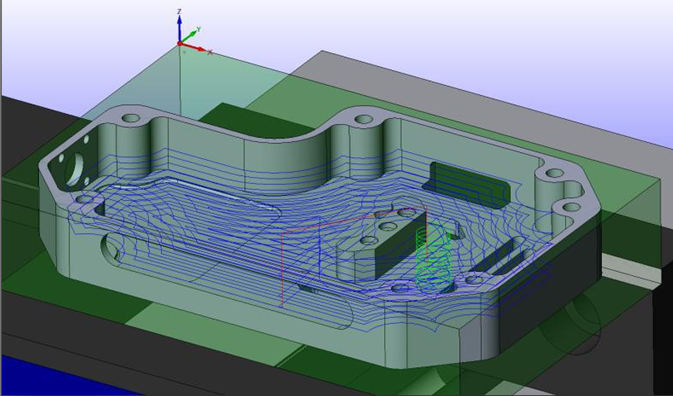 Although the use of this new technology was primarily focused on the die mold industry in the beginning, it has become much more prevalent today - and is present in all areas of the manufacturing arena. Subsequently, and in addition to efficiently removing large amounts of material very quickly, the technology has proven to be quite effective for machining thin walled features as well. 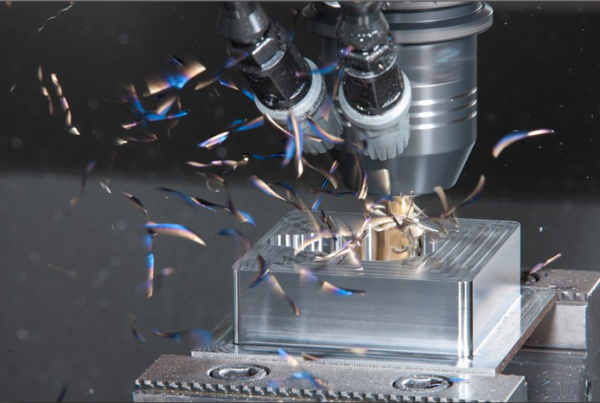 Although the machine tool itself must be robust and well equipped enough for high speed machining, the real magic lies in the toolpath generated by today’s advanced CAM software packages. The ability to produce a cutter path with a consistent chip load and tool engagement - especially in the corners - is really the secret sauce to the whole process. The finite control of the toolpath, and the ability to consistently control the amount of material engagement the tool will encounter, allows for dramatic increases in the cutting parameters. Even small diameter tooling can be pushed far beyond traditional limits. 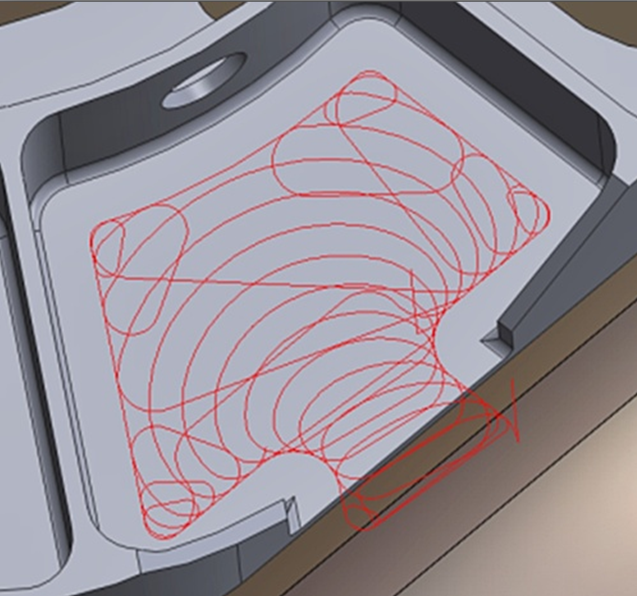 The traditional toolpath cuts in a “racetrack” pattern, simply following the overall shape of the feature being machined, and the process itself lacks the control parameters necessary for increased performance. This lack of control means that the tool can encounter a varying amount of material – especially in the corners – that will negatively impact the cutter’s ability for going faster. Due to the increased linear forces and stress on the cutter, the depth of cut, rpm, and feedrate must be reduced…and due to the presence of added friction, coolant is most often necessary for a successful outcome. In addition to the heat buildup caused by this friction, the intermittent over-engagement of the process will also cause extreme tool wear, and overall tool life will be much less than could be achieved with high speed machining practices. The Hurco advantage...in addition to having a very robust machine, that is well suited for high speed machining, Hurco also has something that no other machine tool manufacturer has! ...UltiMotion. Take a look at the video below, it was programmed using SolidCAM's iMachining, and shows an already optimized toolpath using high speed machining techniques, and then compare that same toolpath to a machine utilizing Hurco's patened UltiMotion motion control system.